Our new Spring menus have arrived! We are proud to reveal our new spring menus, which launched on 1st April! As always with a focus on fresh, local ingredients, we have brought in some bright new dishes to complement our signature dishes and crowd-pleasing favourites. 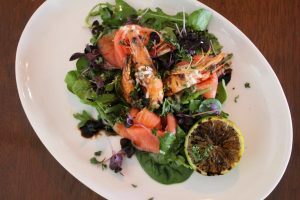 We are lucky to be in one of the best areas for fresh fish and seafood, which we have reflected in our springtime menus with dishes such as our smoked salmon with prawns, horseradish and lime vinaigrette appetizer (pictured right). We have also included in both our main and Sunday menus daily oysters, the exact dish of course changes every day depending on the daily catch. 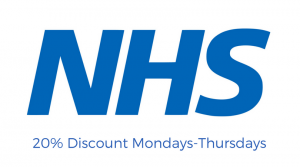 Please check our board for details of what is on offer next time you visit. We are also very pleased to be able to pair our oysters with a very special Bloomsbury Ridgeview English Fizz, by the glass for £7.95. The award winning Ridgeview winery is very local, in Ditchling, East Sussex and has been producing very special sparkling English fizz for over 20 years. Of course a Tap House menu would not be the same without our very popular signature burgers and signature mussels dishes for which we have become known throughout Shoreham. And of course, we also have choices for vegetarian and vegan diners, including our wonderful BBQ Jackfruit burger with avocado and spinach. If you are just popping in for a spot of lunch when one of our sandwiches or salads is sure to delight. Our new melon, mint and feta salad is already proving popular! Our vegan superfood salad is full of goodness, or enjoy a more traditional Ploughman’s Platter with a whole host of tasty treats, perfect for sharing. Rounding off our menu, our delightful new dessert Eton Mess is sure to be a crowd pleaser (pictured left). Our Sunday menu has also had a fresh new lift for the Summer, but will continue to focus around our delicious roasts, mussels and now oysters. https://www.taphouseshoreham.co.uk/wp-content/uploads/2019/04/WhatsApp-Image-2019-04-05-at-14.43.08.jpeg 1600 1200 admin https://www.taphouseshoreham.co.uk/wp-content/uploads/2018/06/New-WebLogo.png admin2019-04-05 10:56:312019-04-11 11:11:41Our new Spring menus have arrived! The Tap House is a stylish bar and restaurant in Shoreham-by-Sea, ideally located in the bustling heart of the town. 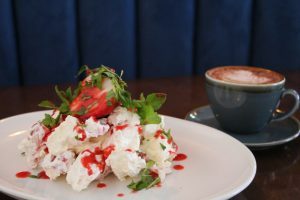 Specialising in fresh food, craft beers and a wide selection of gins, The Tap House is a fantastic place for a special dinner, a light lunch, or just to sit and watch the world go by with a drink. 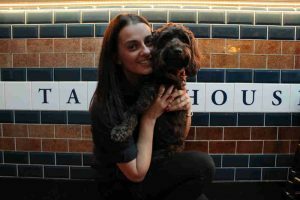 The Tap House prides itself on being family and dog friendly, promoting community spirit and placing emphasis on local food and drink.